"Showtime!" 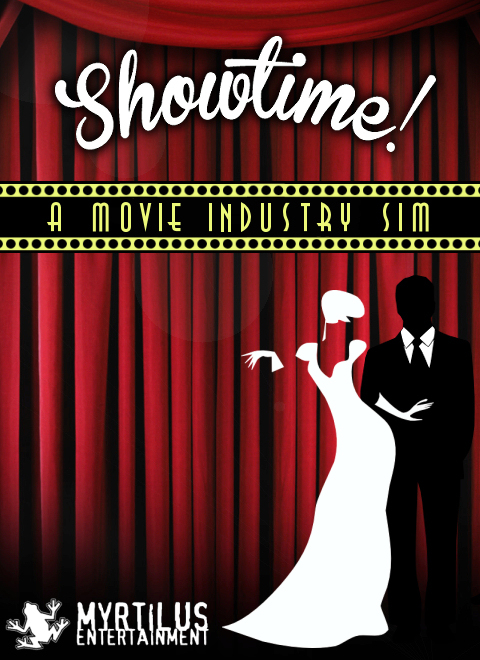 will allow you to control and build your very own movie studio from the ground up! As a newcomer to Tinseltown it will be your job to create movies your audiences want to see as well as develop new technology to stay relevant in the film industry. Work through every step of the movie-making process by developing an idea, writing a script, assigning roles, hiring actors/directors/producers, assigning a budget and finally releasing the movie upon the world. You can see how your movie fares at the box office or in the hall of fame and if it does well can even develop it into a sequel. You can even hire staff for your studio, build facilities and upgrade your film and sound technology as you progress through the years. The game even comes with an editor which allows you to create real-world mods for the game and import your favourite movie stars and celebrities. You can rename studios, film titles, descriptions, reviews, award shows and even how celebrities can die! To promote Showtime! and grow its popularity (top games), use the embed code provided on your homepage, blog, forums and elsewhere you desire. Or try our widget. Hevn is a narrative based first person sci-fi adventure game.